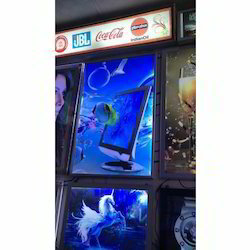 Service Provider of a wide range of services which include led magnetic frame, led poster frames, led snap frame, aluminum clip frame, crystal led frame and crystal led photo frame. Owing to our technological adeptness, we are at the forefront of providing best quality LED Magnetic Frame. We are providing the time saving and easy to use frames designed with a button to open the magnetic closure which works best for hassle free advertising at public places. Suitable for both indoor and outdoor usage, the offered frames are developed using quality approved material and can be availed at a leading price. 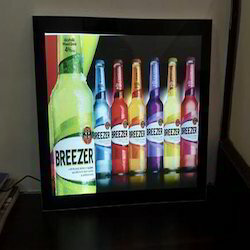 We have complete allegiance in offering highly demanded LED Poster Frames. These posters are made from weather proof material, which ensures superior performance in both indoors and outdoors. Designed to display animation and graphics, these posters can be ordered in blue, green, red or full-color display with minimum order quantity of 10 square feet. We are well-known entity involved in offering high-quality Led Snap Frame. 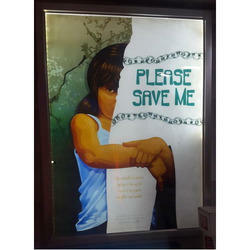 A wide number of commercial signage and posters are inserted in these frames that are made from aluminum and come with snap on closures for hassle-free and time-saving removal of the poster. We are delivering these chic and elegant looking snap frames in varied sizes with the assurance of sturdy packaging and a competitive price. 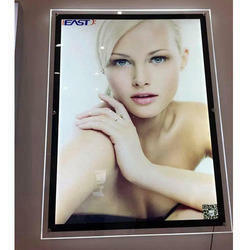 We are a well known enterprise engaged in offering highly demanded Crystal LED Frame. WE stock a vast range of sizes and patterns in these cost effective frames which are ideal for advertising and decoration purpose. 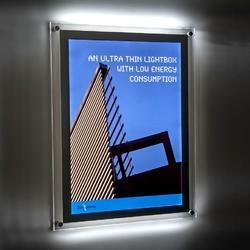 These frames can be seen at public places, photo studios or houses where the poster is brightened with the backlit LED panels. 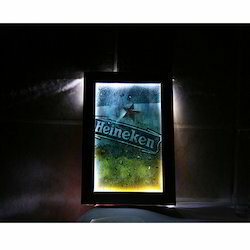 We have established ourselves as a reputed enterprise offering high-quality Crystal LED Photo Frame. 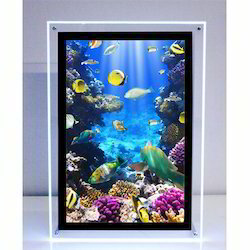 Our offered frames are developed using highly durable acrylic material and best in class LED luminous panels that are ultra slim and power saving. These frames are designed for both decorative and advertising purpose, hence our clients from commercial and domestic segments can avail varied sizes and patterns at the best price. We have firm allegiance in offering high-quality Crystal Light LED Frame. Our creativity can be seen at the subways, banks, large-scale exhibitions and varied other public places where we have delivered these acrylic frames that are implemented with LED luminous panels. 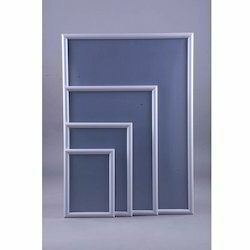 The offered frames are designed without any hot spot on the panels and can be ordered from us at a leading price. With the aid of our highly experienced professionals, we are instrumental in offering finest grade LED Advertising Display. We are dealing with cost effective and maintenance free advertising displays that are best suited for advertising purpose. 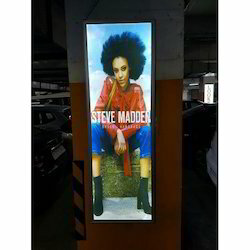 Widely installed at public places these backlit panels are fitted with LED luminaries which add an elegant and bright look to the poster. We have gained much acceptance as a notable entity offering best in class LED Clip Frame. These frames come with clip on closures which are specially used for advertisement purposes where our clients can easily change the graphics in few seconds. Fabricated using the best in class material these frames can be incorporated with warm white, cold white, color temperature changing LEDS and RGB LEDS. Backed by our team of meticulous professionals, we are instrumental in offering best quality LED Crystal Frame. We procure the high-quality acrylic material to design these sleek and lightweight frames that can be unscrewed easily to change the graphical advertisements at the club, bank, airport, hotel, and elevators. Featuring remarkable brightness and durability these frames can be ordered at a leading price. We are recognized as the industry leaders by offering finest grade LED Display Frames. 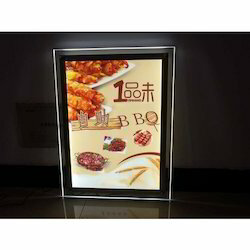 Ideal to be used for advertising and promotional purpose, these backlit frames are lightweight and can be mounted easily on the walls. We are utilizing the best in class LED luminaries to develop these frames, which are second to none in terms of brightness, energy efficiency and durability. With the aim of attaining pinnacle success in the market, we are engaged in offering high-quality LED Frame. Our offered LED frames can be seen at food joints, supermarkets, hospitals, airports and varied other places where the bright and attractive advertisements are grabbing the attention of the public. These frames are made from sturdy material and ensure lasting performance with the option of customization in design and pattern. With the support of astute professionals, we are involved in offering best quality LED Magnetic Photo Frame. These frames are the best suited for advertising purpose and can be seen at a large number of public places. Fabricated from best in class material these frames are printed using the advanced technology and top quality inks. We are reckoned as a prominent firm offering supreme quality LED Photo Frame. these frames are the best option to grab the attention of the public, and due to the eco-efficient LED panels these frames consume very less power and offer cost effective benefits. Further, we are designing a wide range of sizes and patterns that are accessible with the option of customization. 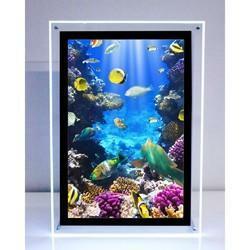 We are reckoned as major entity actively engaged in offering high-quality LED Photo Frame. We bring forth the ultra light and energy saving photo frames that work best for indoor decorations and also utilized widely for advertising and promotional purpose at chain stores and food joints. The bright and power saving frames are incorporated with LED panels and designed with an easy closure which is hassle free and time saving. 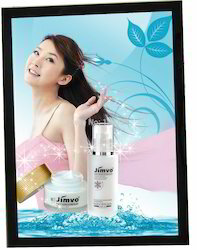 We have established ourselves as a trustful firm of premium grade LED Sandwich Photo Frame. These frames are fabricated using aluminum material and eco-efficient luminous panels that are ideal to be used in all weathers. The rust free frames are easy to clean and work as the best advertising tool in the busy areas like schools, hospitals, airports and shopping malls. 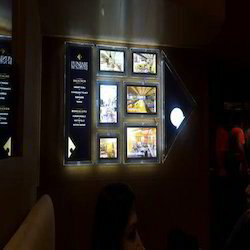 We bring forth the most innovative range of LED Snap Frame. Designed with extruded aluminum housing these weather resistant frames are a best suited item for promotional and advertising purpose at airports, schools, shopping malls and varied other public places. 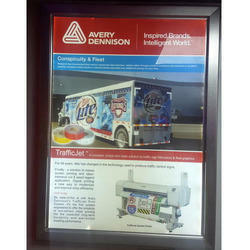 Designed with a snap-on closure these tool free frames can be availed in warm white and cool white LED colors.